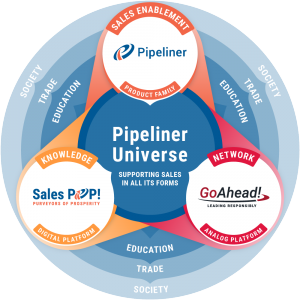 We think it is crucially important to describe our philosophy because our customer, our partner, the user engaging with us, should understand the underlying concepts that drive Pipeliner. If you understand the underlying concepts, it will empower you to make even better use of the software. Everything we do is visual—hence we have also created our philosophy wheel to better communicate our foundational philosophy. As you can see, within the philosophical wheel there are three concentric circles. They demonstrate cause to effect, from the center to the outside. The outermost circle is companies, which is who we are ultimately affecting. We assist companies in reducing their risk, and help them leverage opportunities. 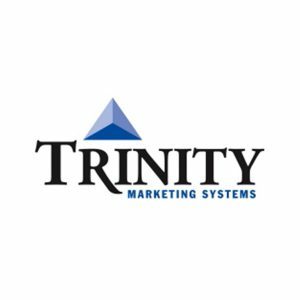 We aid them in becoming increasingly effective and efficient in their processes by empowering their team members to sell and to manage sales better. By doing so, companies can reduce operating costs. We’ve designed our product to be of such great impact because if it doesn’t positively improve things, then what’s the point of having it? It could be replaced like pretty much any other product today. That’s clearly not what we’re after—you would, obviously, never replace a product that is really helping you and your team. We know this because we ourselves use Pipeliner for all our operations. It has replaced a large number of other applications of limited value—we manage everything with it. Once you’ve tried Pipeliner, we think that you will do likewise. Why? Through doing so, you can reduce your costs dramatically. The efficiency you will gain from primarily using a single app will greatly enhance productivity while minimizing time, money and effort invested in training, updating, and constantly keeping track of many other systems or apps. The next circle in is The Age of the Buyer. This is so-called because the entire sales cycle has turned around from previous years when the salesperson had the majority of power and control. Enabled by the internet, today it is the buyer that has the power, and salespeople must address their needs and wants and pain points precisely if they want to make that sale. Only by operating effectively within the realities of the Age of the Buyer, can today’s salespeople reach and affect companies. 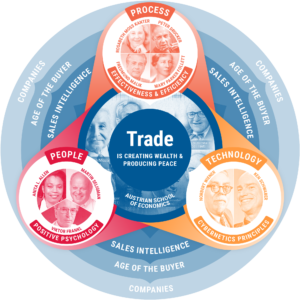 To fully operate in the Age of the Buyer, one needs Sales Intelligence, which is the next circle in. We are certainly not attempting to create or invent the subject of sales intelligence—there are literally hundreds of books on it. 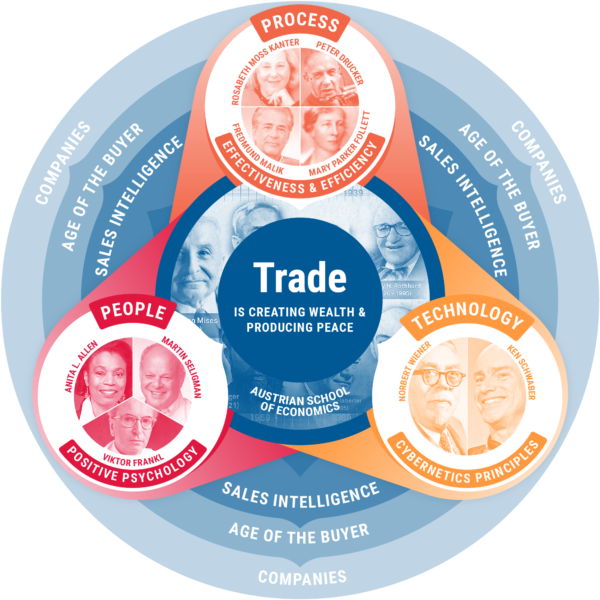 Rather we are aligning ourselves with the with the ideas around sales intelligence that already exists. The whole point is to create a win-win situation for the buyer and the seller—where in previous ages perhaps it was often only the seller that won. Today it must be both, or the seller—as well as the product and service—has no sustainability. 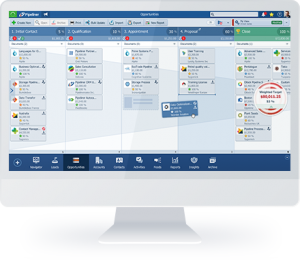 What difference would it make to your business if you had a CRM system that salespeople actually saw value in using—one that kept your sales pipeline accurate, predictable, and efficient? 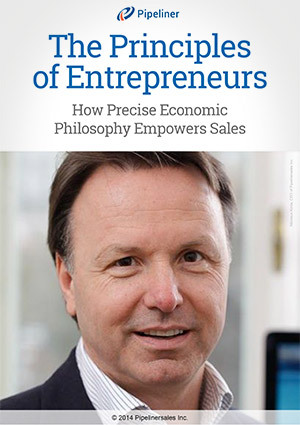 Salespeople are more than just regular day-to-day workers. They are entrepreneurs within the enterprise. 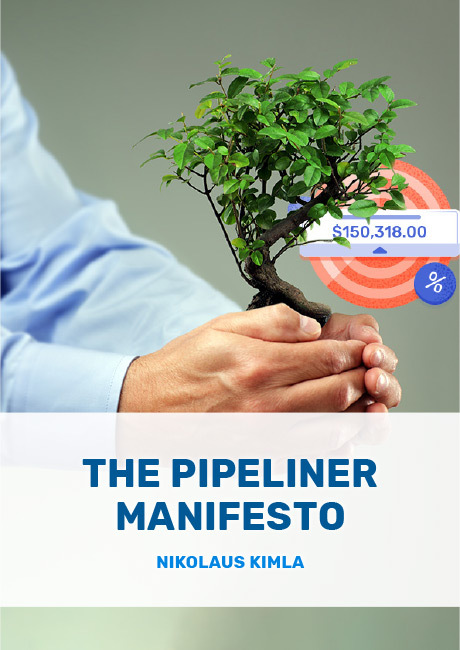 What is a manifesto, and why have we, the developer of a CRM solution, created one?